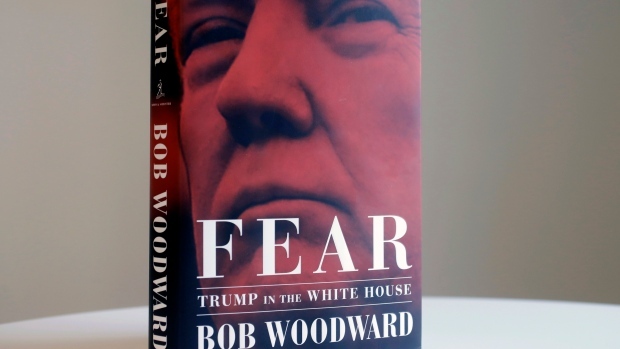 (Bloomberg) -- Amazon.com Inc. said it is working to restock shipments and fulfill orders for Bob Woodward’s “Fear” after the book sold out shortly after its Tuesday release. Company officials said the title, which details a chaotic Trump administration in which staffers undermine the president, will be available through Kindle and audio books while they wait for new shipments of hardcovers. According to the website, shoppers can get it as early as Sept. 26. Barnes and Nobles Inc. said the book is fully stocked at its locations and that customers will receive their orders on time. The company highlighted the book, published by Simon & Schuster, as a potential driver of sales during its quarterly earnings call with analysts last week.